Three angled vases are perfectly positioned to create a visually stunning table top accent, but when filled with water and running, the natural sounds, and steady stream water create a truly stunning effect. It's made from ceramic so it has a natural feel, and the colorful glaze adds to this earthy look, but also adds a layer of durability that allows you to use it indoors or out. Place on a table, plug it in to any standard outlet, and then fill with water to complete the set up. Once turned on, it will continually cycle the same water over and over. The included pump will bring water up to fill the tallest vase, and once full, the liquid will begin to spill out the spout at the side. From there it will fall to fill the medium size vase, and then flow down the the smallest one. Natural coloring and abstract shaping will blend with existing decor and enhance any space, and the sound of running water will set the mood and help you relax. This table top fountain can be used indoors or out. 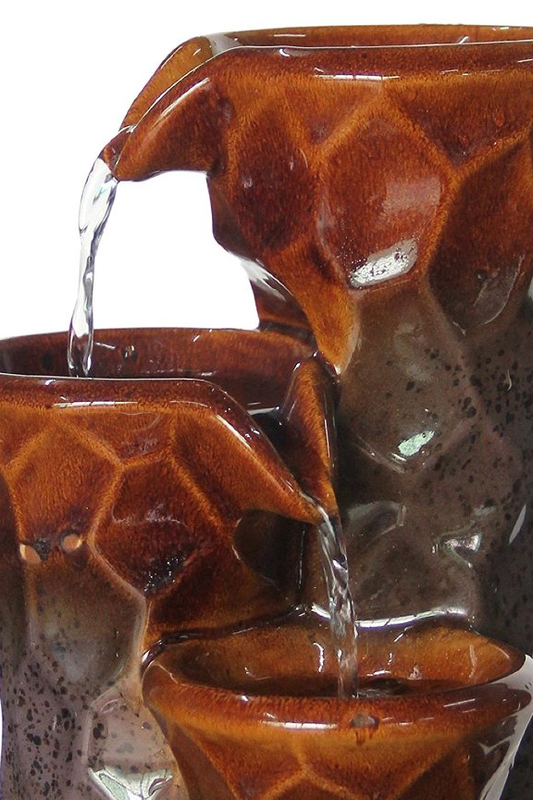 The entire fountain is constructed from ceramic, and it's glazed for visual appeal, durability and longevity. 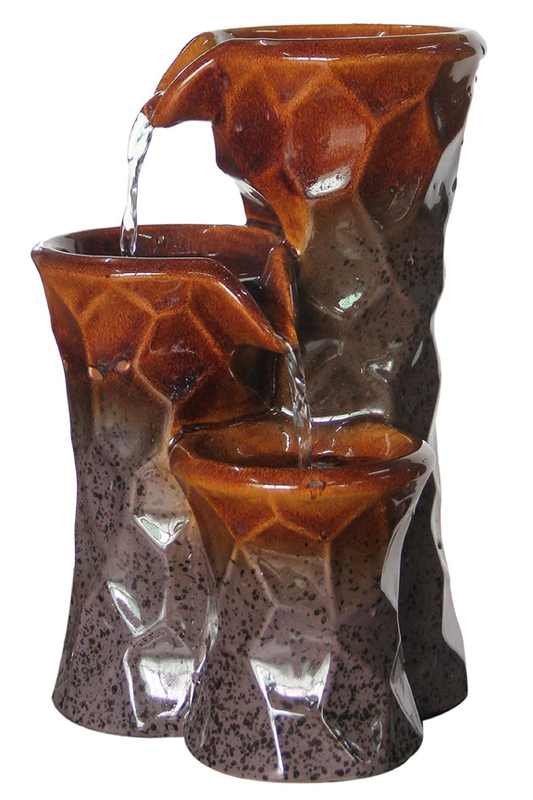 Three abstract urns combine to form an elegant tabletop fountain. Use indoors or out to improve any space visually, and add relaxing water sounds. Order Yours Today!